Still waiting for the Internet and TV to converge? It may have already happened. 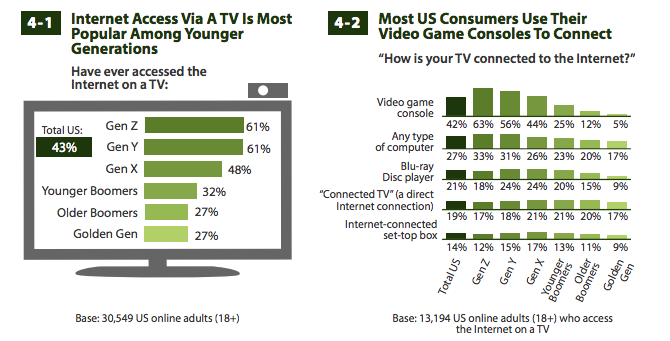 Four out of 10 Americans have connected their TV to the Internet, according to a new Forrester study. If you’re just talking about the whippersnappers in the 18-to-32 age bracket, the number shoots up to 6 in 10. 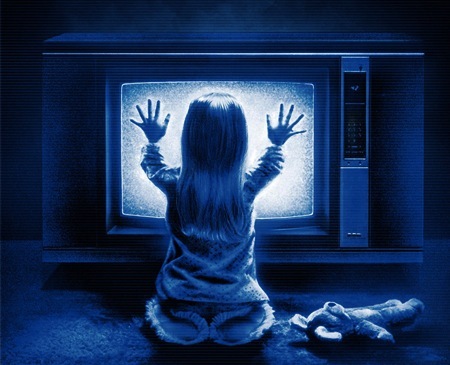 Forrester credits Microsoft’s Xbox 360 and Sony’s PS3 for most of that; it says 42 percent of connected TV watchers are hooked up via a game console. If you’re an oldster like me — who remembers the days of rabbit ears, Pong and three broadcast networks — that number seems staggeringly high. And we can attach a few caveats below. But it’s not the first time we’ve seen stats like these. Earlier this fall NPD reported that TVs have become the most common screen for Web video-watching. And Netflix says the PS3 often generates more streams per day than PCs do. So if you’re willing to say these reports are at least directionally correct, it’s a big deal, at least for Netflix, Hulu, YouTube and everyone else who has been waiting on this moment. If you do want to pick at these numbers, there are a couple ways to do that. For starters, note that the Forrester poll asks people if they have “ever accessed” the Internet on a TV, which is different from regular use. And it’s possible that many gamers are simply counting playing with other gamers as an Internet connection. In other words: You can probably knock these numbers down a bit if you want to talk about the entire U.S. population. But even then, there’s definitely something here. And maybe that’s old news to everyone but me.